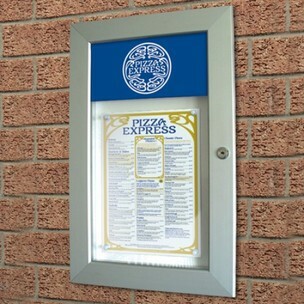 This menu case features a magnetic/dry-wipe back panel and additional header area. 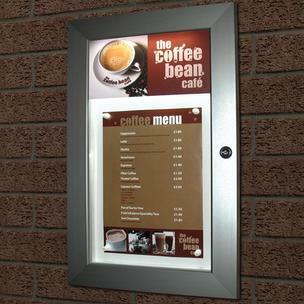 The aluminium frame has a silver anodised finish, which is vandal resistant. The clear panels are also included, (1.5mm polycarbonate) and a set of keys. Suitable for internal/external use, landscape or portrait. All features of Menu Case plus LED illumination kit, which includes: LED strip along top inside edge and 12V adaptor. Supplied complete with set of keys. 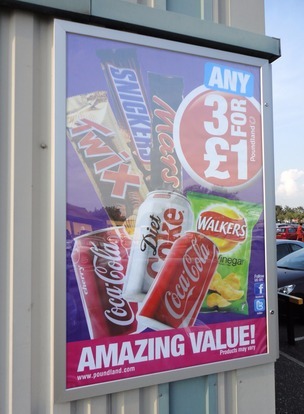 Stylish poster display case with lockable doors and magnetic/dry-wipe back panels. Made from aluminium frames (52 x 30mm), glazing panels (1.5mm polycarbonate). Magnetic pins and keys are included. 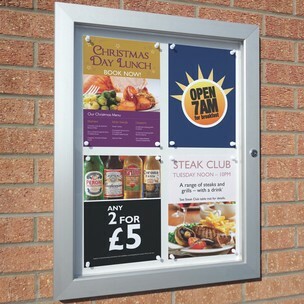 built from durable aluminium frames (52 x 30mm) with a silver anodised finish. A clear plastic sheet (1.5mm polycarbonate) protects your graphic, with internal clips securing it in place. Keys are included.